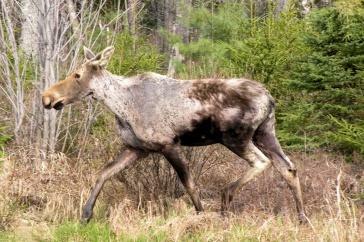 This adult "ghost moose" has rubbed off much of its fur while trying to remove winter ticks. Conservationists say two iconic New Hampshire animals – moose and loons – show how climate change will reshape the region in the years to come. They talked about their latest research – and how they hope people will respond to it – at the Audubon Society in Concord Wednesday night. It was the same day New Hampshire and Maine set new records for winter warmth. Highs were in the 70s in Concord, and the snowless Mount Washington summit reached 48. 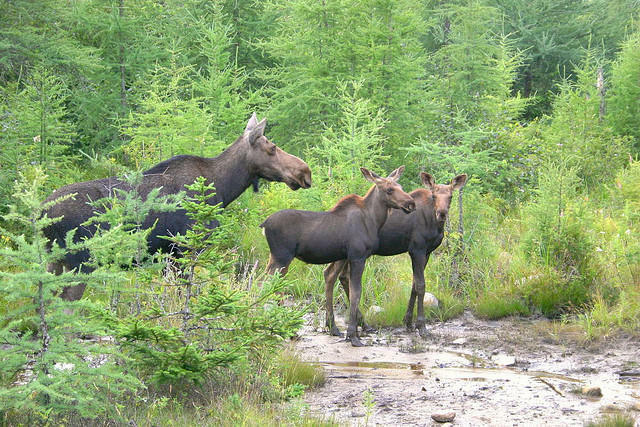 The moose hunt lottery is now open in New Hampshire. The 2018 applications must be postmarked or submitted online by midnight on May 25, or delivered to the licensing office at the Fish and Game Department headquarters in Concord before 4 p.m. that day. Winners will be selected through a computerized random drawing on June 15.